There’s no secret the Wild Rover is a big fan of cocktails, Irish Whiskey and occasionally dancing on the bar top*. 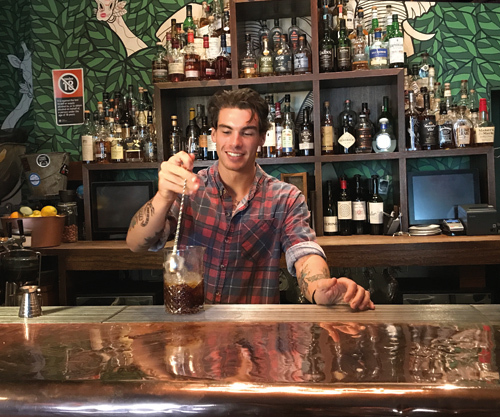 On Thursday 15 March, we’re bringing it all together for a ‘how to’ cocktail class specialising in teaching you to make the perfect drink at home with one of the most versatile ingredients, Irish Whiskey. Resident cocktail guru Ciaran McCool (yes, that’s his real name) will explain the methods and equipment used to mix drinks, the history behind Irish Whiskey and the reasons why it has become one of the fastest growing whiskey categories in the world. Class includes spritz on arrival, food, a 90 minute class where you can make your own cocktail behind The Wild Rover bar. * dancing on the bar is optional. If a party is more your thing, St Patrick’s Day is where you want to be on the 17th March.